Scramble eggs; prepare onions and peppers to taste. 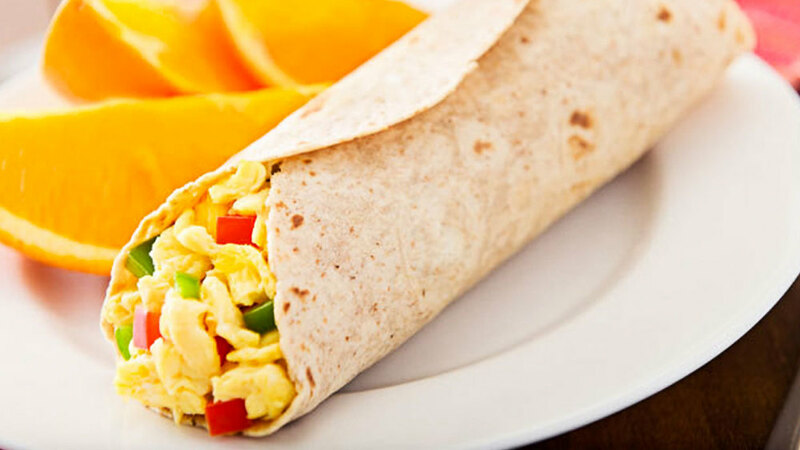 Add eggs, peppers, onions, and cheese to tortilla, wrap and enjoy. “These breakfast burritos pack in flavor and nutrition for on-the-go mornings. This recipe can also be made ahead of time so Christy and her family can prepare breakfast quickly so they save time to enjoy their meal together.